Are you looking to dive into the sport of shooting? Or maybe you just want to learn how to fire a gun? Whatever your interests or experience level, we’ve got you covered. 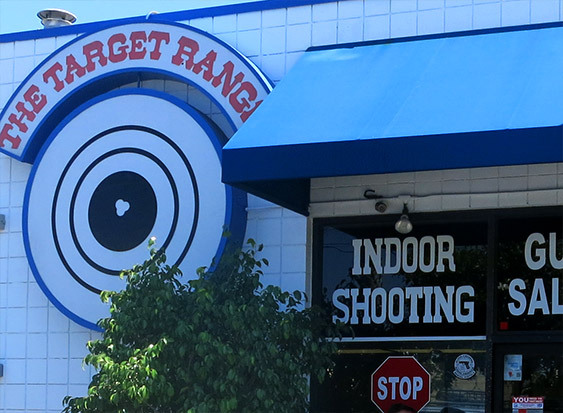 The Target Range has been a leader in the firearms industry for over 25 years. Our expert staff is here seven days a week to answer your questions and help you get the most out of your range time. 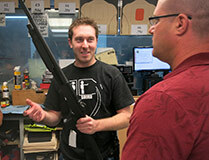 Plus, we offer one of the largest selections of firearms in the Los Angeles area. We carry Glock, Ruger, Smith & Wesson, Remington, Kahr, Sig Sauer, NightHawk Custom, Springfield, Mossberg and more. We price most guns at or below MSRP and we offer discounts on shooting range memberships when you buy a firearm. You get the complete package at a great price. You know all those brands we just mentioned? They’re available in rental guns, too. 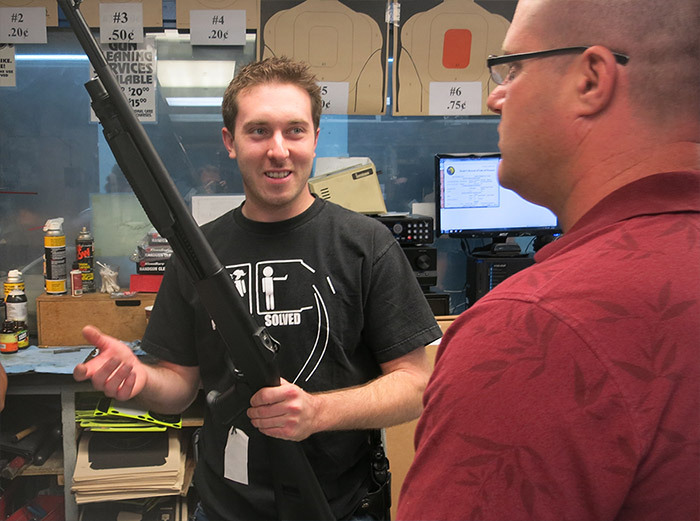 We give you the opportunity to check out a variety of firearms before you buy. You can even switch rentals and try several without added rental fees. Revolvers. Semi-automatics. Shotguns. Rifles. 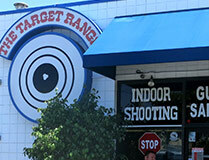 The finest firearms, rentals, and accessories in Southern California are all right here at The Target Range. If we don’t have what you want in stock, we’d be more than happy to order it for you. Most guns ship in as little as one or two days. If you’re in the Los Angeles area, including West Los Angeles, Burbank, Westhills, Culver City, Santa Monica, or downtown, stop in and say hello. We know you’ll like what you find. All shooters must be 18 or older or be accompanied by an adult. You must be 21 or older and have a valid State-issued ID to purchase ammunition. 1 At least one person with shooting experience is required per lane. 2 Firearms must be unloaded at all times when not shooting. 3 Guns without cases must have actions open at all times when not shooting. 4 Rapid firing and barricade shooting are not permitted. 6 All ammunition must be inspected and approved by a range officer. 7 Semi-jacketed soft or hollow point & exposed lead rounds are not permitted. 8 Ammunition with cases other than brass are not permitted. 9 Smoking, eating, and drinking on the range are not permitted. 10 Eye and ear protection must be worn on the range at all times. 11 Keep firearms pointed down range. 12 No more than two people are permitted in one booth at one time. 13 No spectators are permitted on the line. 14 Patrons under the age of 18 must be accompanied by an adult who is authorized to sign on their behalf. 15 Patrons may not move in front of the firing line at any time for any reason. 16 For safety reasons, empty cases that fall in front of the firing line may not be retrieved by patrons. 17 Cases that fall behind the firing line may be retrieved by the patron who owns them. Private lessons can be geared to any level… beginner, intermediate, or expert! 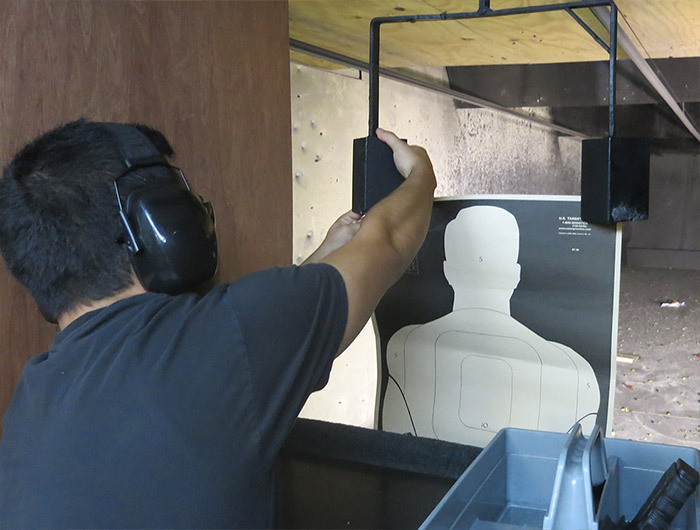 Our basic lessons are designed to teach you firearms safety and orientation so you can feel comfortable using a gun, even if you’ve never fired one before. Lessons will cover pistol safety and introduce you to the parts and operation of a semi-automatic pistol, revolver, or both. You’ll learn about ammunition, safety rules, loading and unloading, basic cleaning and storage, and shooting fundamentals. 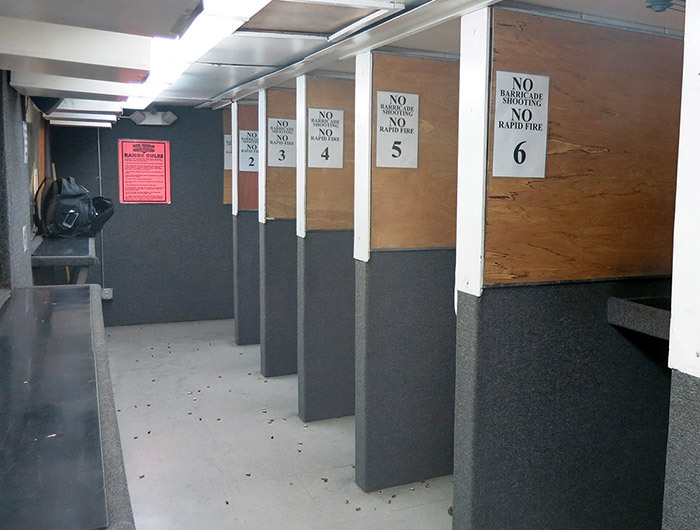 You can bring your own gun or use one of our rentals, whichever is most convenient for you. The cost of ammunition is additional. 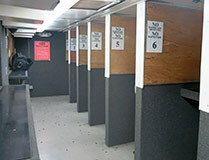 One-hour private instruction with a firearms instructor, lane fee, gun rentals, targets, hearing and eye protection. After the lesson, stay on and shoot on the range for no cost.